Should all Indigenous nations of Onowaregeh, Turtle Island, assert our freedom and independence, what would happen? The action of the“Lakota” is going to have repercussions far and wide.The colonists would go out of business, especially the oligarchs. They would have to work out agreements with all the Indigenous people on whose land they are squatting. Indigenous “liens” on buildings,development, resource extraction and all activities on our land will have to be governed and executed by us. Each Indigenous nation will assert our power over our lands, assets and resources. The colonies of U.S.and Canada will just have to become law abiding. They will have to learn to respect indigenous and international law. "I encourage other nations to rise and up and do the same." "Rise up and take back what is yours, that is what is called freedom." 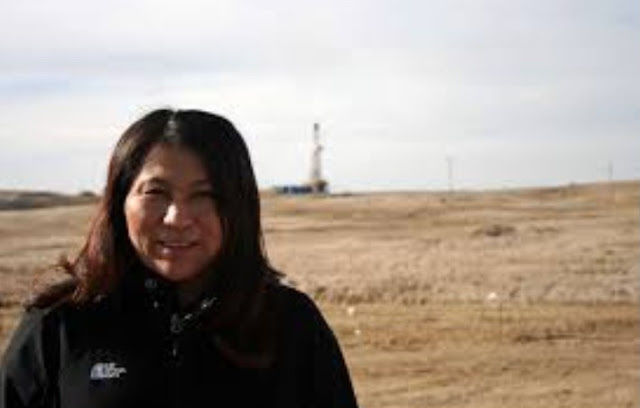 Canupa Gluha Mani interview - 5.6M Canupa Gluha Mani answers questions about the delegation, timing of the event, present hopes and fears of the Lakota people, encouragements to other nations to rise up. Some parts spoken in Lakota language. We have been a sovereign nation since 1868. I am Lakota. I am also the head editor of Medicine Winds News, a Native American newspaper. My people did not go quietly into the night, as the U.S. government wishes we would. We did not assimilate like the borgs of Star Trek. We have stood firmly and resolutely. For 33 years we have waited patiently. Thirty-three, the number given to us at the International Indian Treaty Council drew together more than 5000 delegates representing 98 Indian tribes and Nations from North and South America. This manifesto, representing the wisdom of thousands of people, their Ancestors, and the Great Mystery explicitly supports the rights of Indigenous Nations to live free and to take whatever actions necessary for sovereignty. In thirty-three years not one step was taken to enforce the treaties signed back in 1851 and 1868, let's put this into perspective. If some nation, say imagineland signed a treaty with us for peace, then failed to live up to that agreement what do you think the United States would do? What did we do when China failed after Tiananmen Square? They placed sanctions on the trade of China. Well, members of the United Nations are supporting our efforts to force the U.S. into fulfilling its agreements with us. We are SOVEREIGN NATIONS. In other words we are only under U.S. rule by us voluntarily fulfilling our agreements ie. treaties. Like The Philippines, Puerto Rico, Guam, American Samoa, the U.S. Virgin Islands, and the Northern Marianas are all sovereign nations under U.S. rule, in the same way as 539 Native American nations. Do you think any of these would remain territories of the U.S. if the U.S. failed to fulfill those treaties? Of course not! As separate entities bound by treaty we are not committing treason, we are demanding a fulfillment of a contract that is 150 years old and still not completed. I have a deep respect for the rich cultural history you have inherited. I believe all people regardless of race and creed have an innate freedom to live their life as they please and purse anything they wish as long as they do no harm to others. I will be the first to admit that I am not well educated on the hardships your people have faced nor more than introductory level of history of concerning the interaction between the United States government and your Tribes. These articles and news deeply concern me though. I understand and empathize with the complaints about the colonization. I am a white male. As far as I know I have very little if any Native American Ancestory defined as being descended from those people who originally crossed the Bering Sea land bridge and populated the Americans before the arrival of Europeans. My ancestors are Europeans. They arrived in the americans between 15XX and 1614, the date at which my namesake died in what is now New Hampshire. My family has lived in this land for over four hundred years now, and I had no say in the choice of my ancestors to come here. More over, I do not know whether they were or were not involved in any oppression, subjagation, murder, or any other crimes against your people. I do know that I would not have chosen to do any harm to any one of any group. I do know that I had no choice as to where I was born. I also know that I was born here, and surely I am as native american as any one else born and raised on this soil. Surely your generation had no control over the choices of your ancestors as well. The past is beyond our control but the future is not. So I ask this question with the utmost respect and concern for what happens in these lands that your people and I love and cherish so much. What does your group advocate to the people who live in our region that do not expressly identify with the Lakota Nation? Would it not serve all of Human Kind better to work with all people of the United States of American and your People to promote peace, prosperity and cultural understanding to ensure a better and more harmonious world for tomorrow? For is the fight of your people for equality not one for the fight of equality for all peoples? In conclusion, my question is secession really the answer? I fear that it may just create more animosity, more separation and more segregation between peoples who share many common loves. Regardless of cultural histories, colour, race, or creed are we not all one people bound by our common destinies to our one planet?